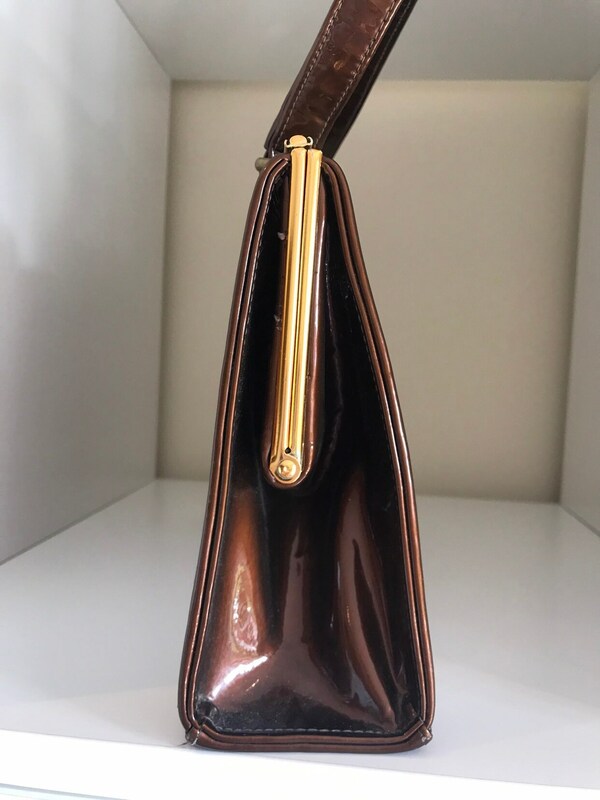 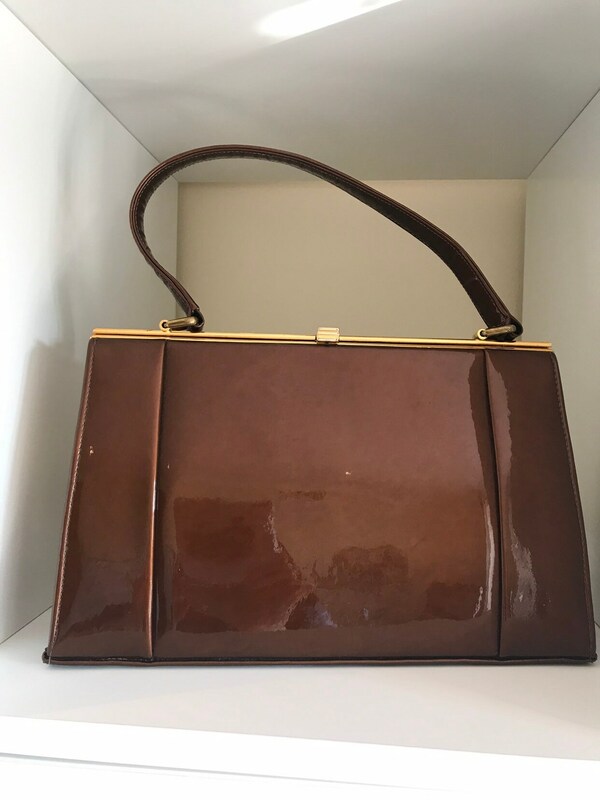 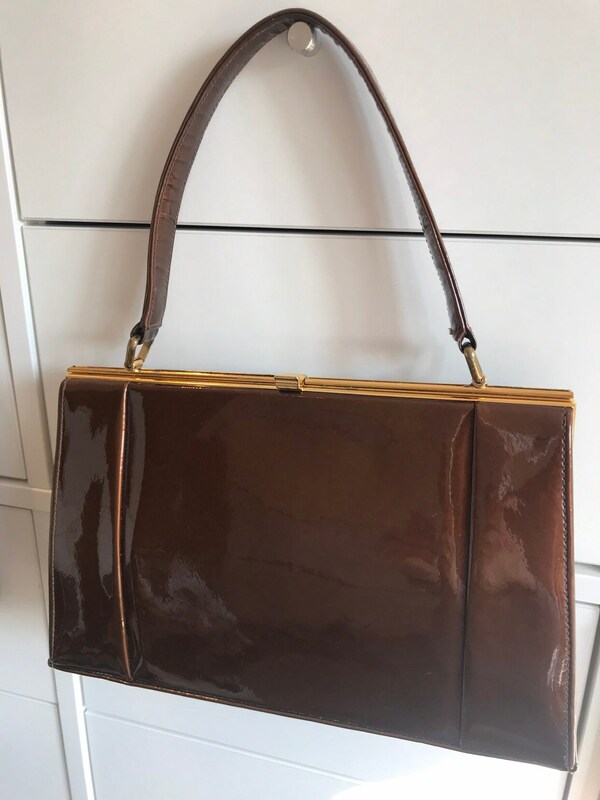 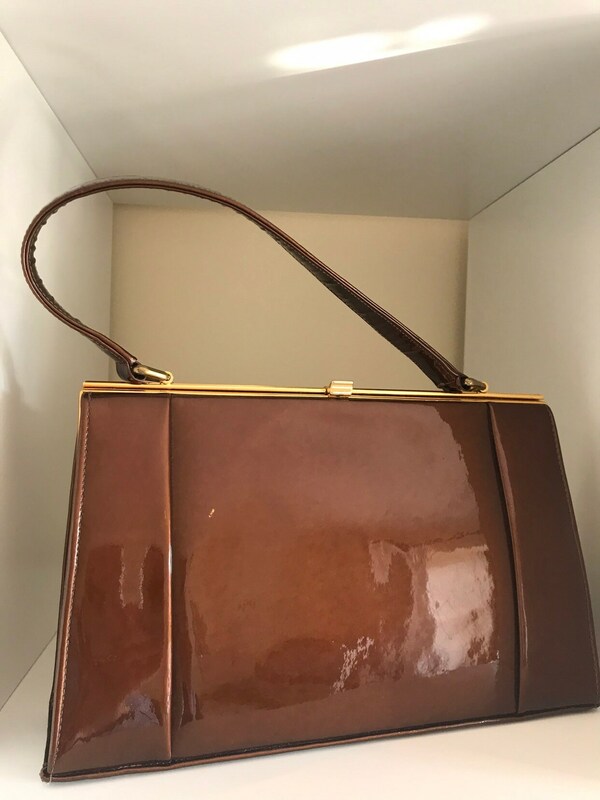 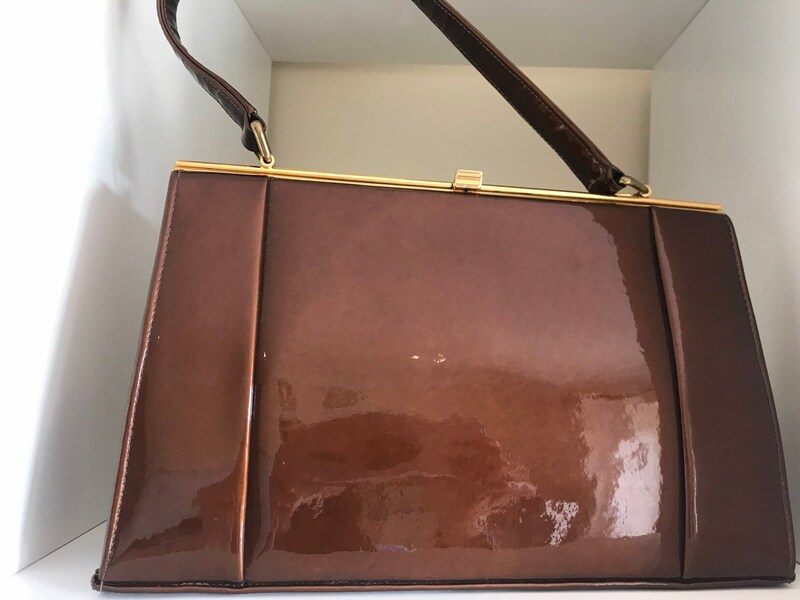 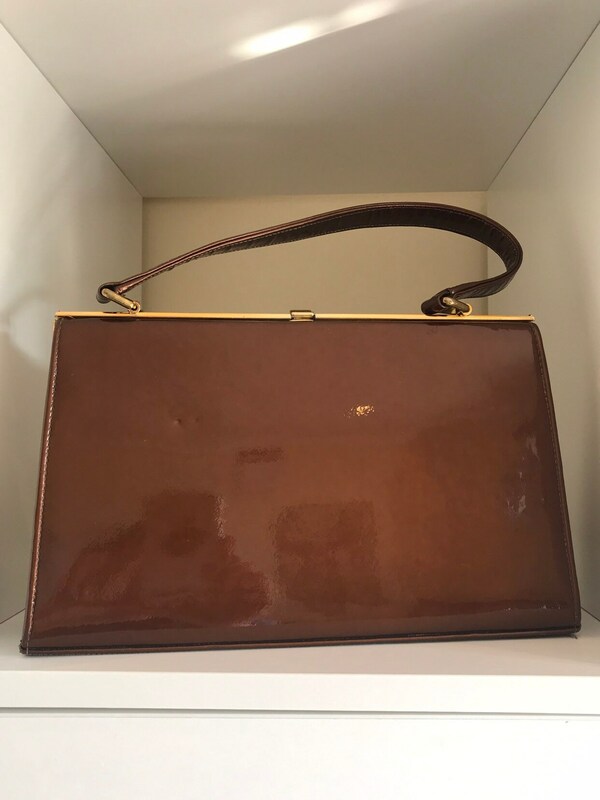 Here is a beautiful vintage 1950s kelly style handbag in a deep caramel patten leather. 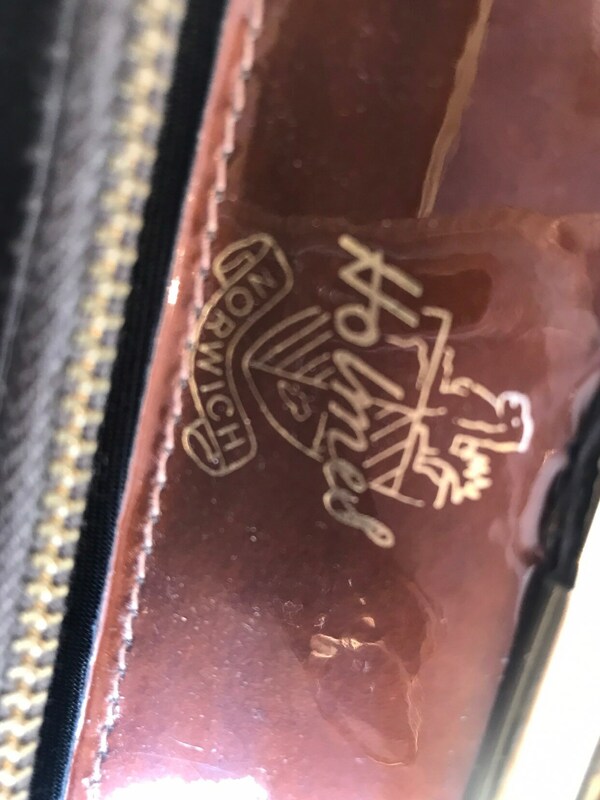 The bag is signed Holmes of Norwich. 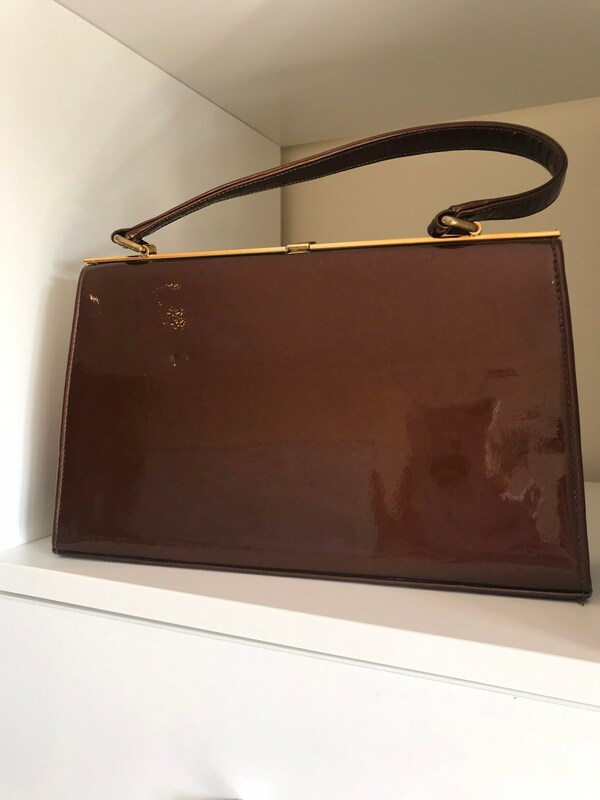 It opens on a hinged gold toned metal frame and fastens with a strong deco style snap clasp fastening and has a nice sturdy carry handle. 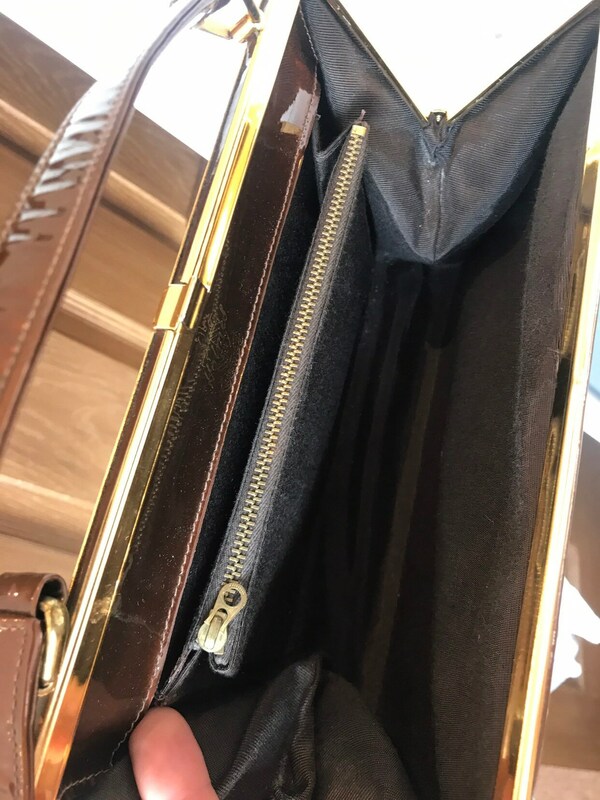 It is lined with two inside compartments - one with metal zip closure. 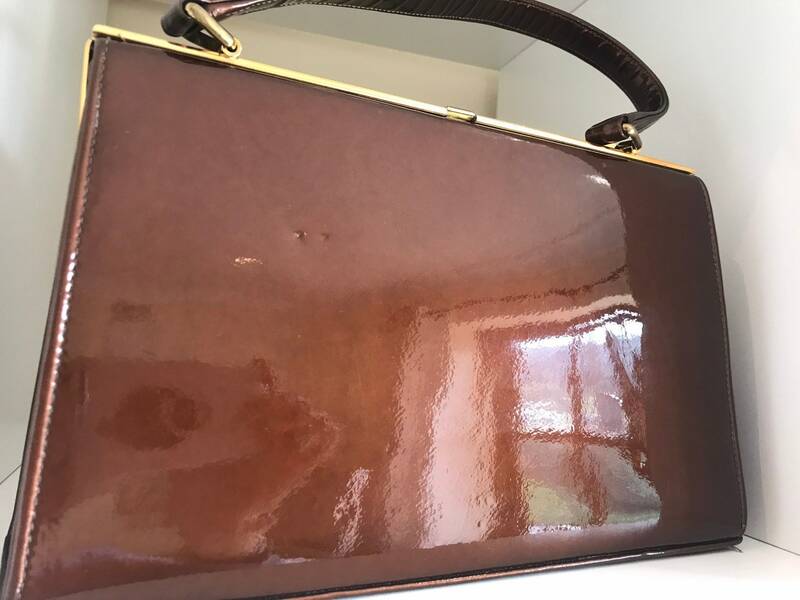 The bag is in beautiful condition with just a couple of little indented dots only visible on close inspection.